“Upon further review,” as they say in the NFL, was the SEC’s recent “Division of Enforcement Approach to Forum Selection in Contested Actions,” entitled to a better call than we gave it in our Friday post: SEC Attempts To Stick a Thumb in the Dike with New Guidelines for Use of Administrative Court? The definitive answer is: “No.” The SEC clearly fumbled the ball with this publication, and made itself look pretty silly doing it. 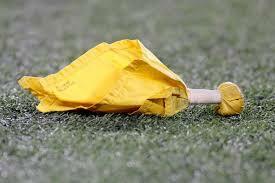 I’m going to add a penalty flag. Our Friday post did not discuss any of the SEC’s vague descriptions, all-encompassing caveats, prevarications, and self-congratulatory pats on the back (to itself) in this document, so we will address some of them here. This SEC memo is the equivalent of one of those “what were they thinking?” moments we now see on the internet all of the time, like a selfie someone might take (and actually post for all to see) of the author grinning before some solemn background, like the Vietnam War Memorial. It’s an embarrassment for what it says and what it fails to say about the serious issue of assuring due process and fair treatment in SEC enforcement actions, particularly as to non-regulated persons. In other words, since administrative proceedings move more quickly, that can justify our choice of that forum in pretty much any case. And in an “older case” — which means, by the way, cases that Division of Enforcement lawyers have sat on for years on end — because our dilatory investigation makes it virtually impossible for any witness to remember accurately what really happened, we will lean towards the administrative forum because, in our discretion, we now think it is important to move at a breakneck pace, and not allow the defense the time to develop a complete understanding of the record or what witnesses may say at trial. This is no more than a transparent effort to create the misleading impression that a sow’s ear could be something other than a sow’s ear. No aspect of the discovery limits in administrative proceedings are beneficial to a respondent. The restrictions on discovery may be the single-most unfair aspect of these proceedings, but the SEC portrays them here as cutting both ways. Hogwash! (In keeping with the sow metaphor.) The lack of depositions, the inability to pursue reasonable discovery against the SEC, the more restrictive approach to third-party discovery (including that every subpoena must get prior approval from the ALJ, inevitably over opposition from the Division), and the incredibly short time-frame for doing any independent development of evidence, all mire the administrative respondent in a sloppy mud pen. The SEC, however, had many years to develop its own case (and now uses its own delay as a reason to avoid court! ), and no obligation to do so in a way that actually makes a fair record (in investigative testimony, leading and misleading questions, hiding key evidence from witnesses, vague questions that can be later misconstrued, and avoiding any discussion of exculpatory evidence, are the norm). So the much-touted production of “all non-privileged documents from its case file” is a laugher as a benefit to the respondent. The same production would be required in court (and typically is made by the SEC at the outset without waiting for a request), and intelligent discovery requests will be able to garner all Brady and Jencks material as well. Not to mention the fact that the Division’s concept of what is “non-privileged” means they often refuse to produce many materials based on privilege claims (attorney-client, work-product, and the all-encompassing “deliberative process privilege”) that would not (and do not) withstand challenge in court. But administrative judges are much more reluctant to force discovery on the Division, or the SEC more broadly, than federal court judges. The hubris! This could be the most offensive factor of all. It suggests that administrative law judges and SEC Commissioners are better-suited to decide “unsettled and complex legal issues” to “facilitate development of the law” than federal court judges. Let me see if I have this right. An appointee not required to meet anything close to the standards that apply to federal judges is better to decide complex issues and the development of the law? And Commissioners, who have virtually no adjudicative experience at all when they are appointed, all of a sudden become better at considering “complex and unsettled legal issues” when they are confirmed? I think not. Nor does district judge Jed Rakoff, who gave the exact opposite view on this issue (moving cases from the federal courts to the SEC’s captive administrative court “hinders the balanced development of the securities laws”). See Judge Rakoff Slams SEC for Increased Use of Administrative Proceedings. The SEC was not content here to talk about technical applications of SEC rules in the securities industry — as to which they could at least have a theoretical basis for making such an argument based on supposed agency expertise. They argue here that ALJs and Commissioners may be viewed as better able to decide complex legal issues wholly apart from technical SEC regulatory compliance issues — for example, whether a non-regulated corporate official engaged in fraud in some respect or another. There is no way to support the argument that ALJs or SEC Commissioners are better situated to decide complex and unsettled issues involving fraud allegations than federal judges. The obvious example is insider trading cases, as to which the law is so nuanced, and so bound up in considerations of fraud and fiduciary obligation, that federal court judges are much more likely to get it right. (The exact view expressed by Judge Rakoff: see Judge Rakoff PLI Speech.) That doesn’t even take into consideration the fact the federal judges (and juries) are not conflicted on these cases like the SEC Commissioners are. Only after having first approved the filing of a prosecution, and likely having rejected a proffered settlement as insufficient, do the Commissioners decide these cases, including whether to adopt views of the facts or the law that may be inconsistent with their own decision to prosecute. 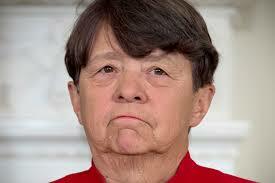 The fact that Chair Mary Jo White signed off on such an atrocity is depressing, and, frankly, inexplicable. This entry was posted in Administrative Proceedings, Enforcement Overreaching, Insider Trading, SEC Enforcement, Securities Law and tagged administrative courts, administrative law judge, administrative proceeding, ALJ, Andrew Cereseny, Brady material, Ceresney, discovery, discovery in administrative proceedings, Division of Enforcement, due process, Enforcement Division, fairness, insider trading, Jed Rakoff, Judge Rakoff, lawyer, legal analysis, Mary Jo White, SEC, SEC Court Guidelines, SEC enforcement, SEC prosecutions, securities, Securities and Exchange Commission, securities fraud, securities law, securities litigation, Wall Street Journal on May 11, 2015 by Straight Arrow.